MARINA DEL REY — Members of the boating community are invited to attend a special day-long event that mixes the fun of boating with philanthropy, May 16. California Yacht Club will host the event that welcomes 10 Olympic hopefuls — members of United States Team Sperry — and U.S. Sailing Team Managing Director Josh Adams. Cal YC members and guests will have an opportunity to interact with the sailors during the fundraiser. Dubbed the “gathering of the eagles,” the junior athletes will bring their boats to the club early that morning and participate in chalk talks, workshops and on-the-water coaching. There will also be plenty of time for everyone to interact, take photos, examine the boats and discuss the campaigns. The morning’s activities will focus on junior sailors but the afternoon program will highlight area of interests for adults, including a presentation by two-time Olympian Paul Cayard. Cayard was the first American skipper to win the Volvo Ocean Race, has competed in seven America’s Cups, has won seven world championships, and was the Rolex Yachtsmen of the Year in 1998 and in 2011 he was elected to the U.S. Sailing Hall of Fame, according to a release issued by Cal YC. His talk will focus on his work as a director of the AmericaOne Foundation, which recently launched Project Pipeline — a program that is striving to get America back on the Olympic podium and raising the level of sailing talent in the U.S. across the board. Other notable guests include Hal Haenel, the 1995 Star World Champion and Olympic Gold medalist (1992) and Silver medalist (1988) will be involved in the program all day long, as will J.J. Fetter, who is a four time Rolex Yachtswoman of the Year; was the 1991 470 World Champion; won a bronze medal in a 470 Class at the 1992 Summer Olympics and a silver medal at the 2000 Olympics. Fetter also won the 1986 Rolex International Women’s Keelboat Championship. At 6 p.m. members of US Sailing Team Sperry will be the guests of honor at a cocktail reception in the Cal YC clubhouse and later at a dinner in the main dining room. World class sailor and former President of U.S. 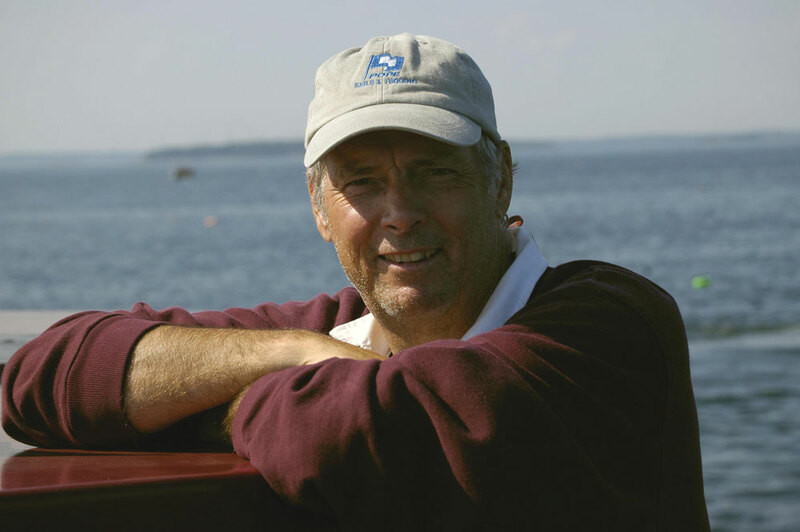 Sailing, Gary Jobson, will emcee the dinner program. During the evening, Jobson will bring a number of the sailing team members up to the microphone to discuss their campaigns for Rio 2016. Attendees will also hear directly from the Managing Director of USA’s Olympic sailing program, Josh Adams. Guests can also bid on items during the night’s auction. Items up for bid include a full week’s stay at Bitter End Yacht Club in the British Virgin Islands, including three meals a day, complete use of the club’s fleet of sailboats, kayaks, and paddleboards, and also total access to the club’s daily excursions. Other items on the auction table include two seats for a ride on the Goodyear Blimp; a private dinner for 10, prepared and served by the staff of the Stella Barra restaurant in the home of the successful bidder; West Marine gift cards and much more. All of the proceeds from the auctions, the junior activities and the dinner will go directly into the athlete’s highly focused campaigns. Space is limited. Reservations must be made by Wednesday, May 13. The cost of the Junior Coaching and Workshops is $100, which is completely tax deductible. The price of the gala dinner is $150, of which $100 is tax deductible. There is no admission charge whatsoever for the afternoon sessions, including Cayard’s Project Pipeline presentation. For more information and reservations, please go to ussailing.org/socal2015. California Yacht Club is located at 4469 Admiralty Way in Marina del Rey.